“. . . the free market system had built hundreds of thousands of houses which no one wanted to live in or could not afford; created an economic and financial disaster and, even during the boom, created little of lasting value. Instead it left a legacy of unemployment and a level of debt that will weigh down generations. And this is the system that virtually every politician and expert commentator says we must rely on to get us out of the current mess.” – Kevin Keating, Jonathan Morrison & Joe Corrigan, Ireland’s Credit Crunch: the costs and the alternative, London, Resistance Press, 2010, pp17-18. The above quote pretty much sums up what this excellent little book is about. 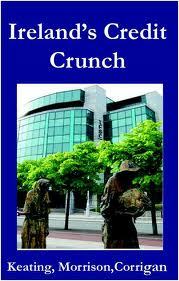 It opens with a chapter on the causes of the crisis, beginning with a 2009 quote from the Guardian about the south of Ireland undergoing “the biggest contraction in an industrialised country since the Great Depression”. However, as the authors make clear, it might be a stretch to refer to the 26-couny economy as if it’s a modern industrialised society; rather the boom has highlighted the much more fragile neo-colonial nature of the southern economy ever since the Free State was established. 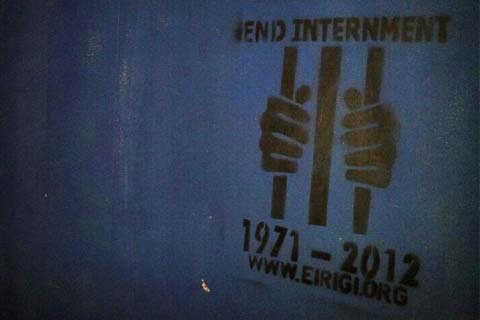 Over the past few months, éirígí members in Belfast have used public art as a means to deliver political messages to the people of the city. 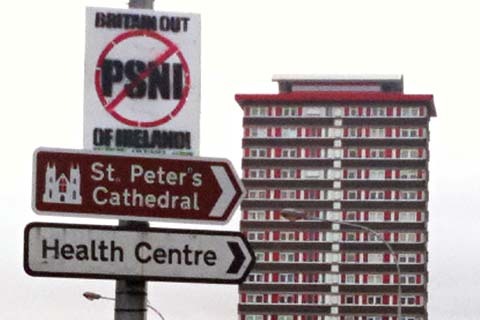 The political artwork has focused on issues such as the unchanged nature of British policing in Ireland, the attacks on essential public services by Stormont while the pigs at that particular trough continue to look after themselves, and the situation of republican prisoners and continued use of internment today. Below are photos of some of the work. The pieces below first appeared on the éirígí site. They are an article about a Dublin commemoration of Costello on October 6 and the speech given by Louise Minihan at the main Costello memorial event in Newtownmountkennedy that night. The embrace of Costello and his legacy by éirígí is incredibly heartening. 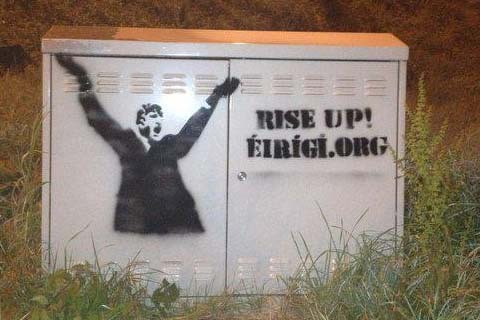 Up to now, I’ve been a partisan of both éirígí and the IRSP. But I have to say, now, that I think the place for socialist-republicans in Ireland is in éirígí. I still very much respect aspects of the IRSP and the way that these comrades have tried to rebuild, after a long period of incredibly difficult and dangerous times, but things move on. éirígí, in my view, is now Connolly and Costello for the twenty-first century. People who might have been a bit sceptical when éirígí started, on the basis of thinking that the founders were rather tardy in parting company with the Shinners (a thought that was once at the back of my mind too), have no reason to be sceptical now. In its brief existence, éirígí has more than proven its socialist-republican credentials. It has put up in a way that no other current on the Irish left has, whether it be around ‘straight’ class issues or the national question. 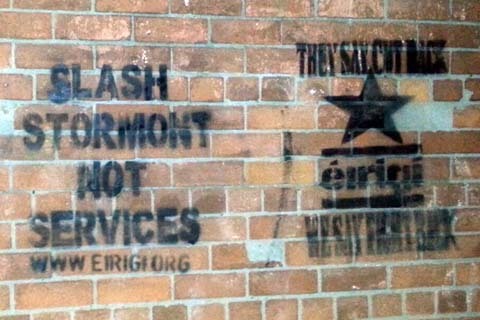 While I would still hope that éirígí attempt to pursue discussions with the IRSP towards joint work and, if that went well, a possible merger further down the track, I think socialist-republicans in the here and now should be in éirígí. No ifs, buts, qualifications. Friday October 5th marked the 35th anniversary of the murder of the great socialist republican leader, Séamus Costello. The Wicklow man was shot to death on Dublin’s North Strand by counter-revolutionary elements. 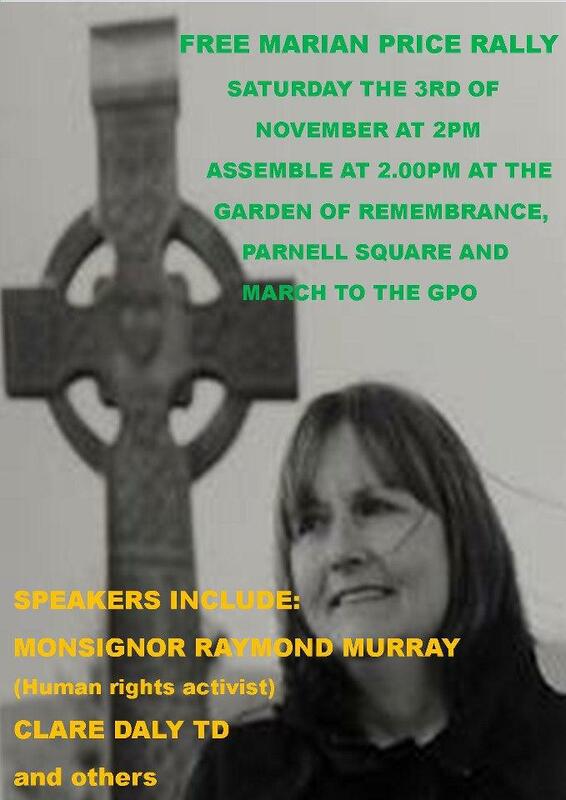 On Saturday October 6th a number of events were held in Dublin and Wicklow to remember Costello and pay tribute to his selfless sacrifice and service to Ireland and the working class. 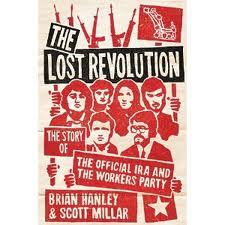 Brian Hanley and Scott Millar, The Lost Revolution – the story of the Official IRA and the Workers Party, Dublin, Penguin, 2009, 688pp. As a previous reviewer of this book wrote, “It must rank as one of the most detailed and frank histories of any political party in Ireland or elsewhere.” The Lost Revolution is undoubtedly well-written and enjoyable to read. It tells the story of the tragic political journey of The Workers Party/Páirtí na nOibrithe (Stickies*) or ‘Officials’ from the split in the IRA and Sinn Féin in 1969-70, to the disintegration of the Workers Party in 1992 and the eventual departure of almost its entire leadership cadre to the right-of-centre Irish Labour Party. This book is essential reading for all who are interested in the post-WW2 European left, for there is little doubt the history of how a section of IRA/Sinn Fein became the Official IRA, then Sinn Fein The Workers Party, then the Workers Party, and then Democratic Left is an object lesson in both how to build a broad left political party and how not to. In the past I’ve noted problems with slogans like “Tax the Rich” and posted some stuff on how taxation fits into a capitalist economic framework. Below is a very good piece on tax from the latest issue of the Socialist Democracy Bulletin. The bulletin also contains interesting material on the gas-and-water socialists’ political strategy, both its parliamentary cretinism and its tailing of the union bureaucracy, the split between the Socialist Party and Clare Daly, the moralistic pursuit of Mick Wallace, the problems of reformism and much else. The entire bulletin can be found here. The upheaval in the United Left Alliance over the revelations of tax avoidance by former businessman and independent TD Mick Wallace highlights the degree to which the left in Ireland has become almost completely defined by the issue of taxation. The current programme of ULA can be boiled down to two major planks centred on taxation. Firstly, that the economic crisis (low growth, debt, unemployment etc.) 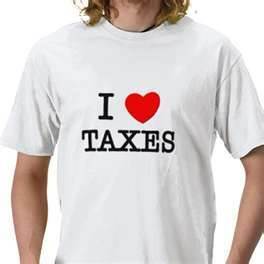 can be overcome through increased taxation on the wealthy and higher public spending. And secondly, that opposition to austerity can be mobilised most effectively through the anti-household charge campaign. It is because taxation has been elevated to a strategic level by the ULA that even the most tenuous connection with evasion provokes a crisis. Rally for Choice, Choice Ireland and UCD Pro Choice Society welcome the opening of a Marie Stopes Clinic in Belfast which will give women in Ireland a clear route for accessing legal abortion in the region for the first time. The groups wish to issue a statement of support and solidarity to those who have worked tirelessly for this to happen. The opening of a Marie Stopes clinic in Belfast will provide women all across Ireland with much easier access to legal abortion, rather than trying to raise the funds to travel to England or further afield. It will be a welcome move for many women in the Republic. It will also provide other much needed services including contraception and STI screening. We call for the Irish Government to take note of this new positive step and finally legislate for the right of a woman to obtain an abortion when her life is in danger. It is unacceptable that 20 years after women were granted the constitutional right to abortion (when their lives are in danger) that women in Ireland must take a case to the Irish or European courts in order to exercise their rights. We realise that this is only a small step in the campaign for free, safe and legal abortion, but it is a welcome step in the right direction. Below is a short video of an éirígí protest in Ballyfermot, Dublin, which prevented Labour leader (and former Stick) Eamon Gilmore attending the launch of Unicef Ireland’s campaign for the children’s rights referendum.